Don’t tell anyone, but I’ve been travelling around with a rather battered case for a while now. I’m a travel pro with a case that tells a different story. 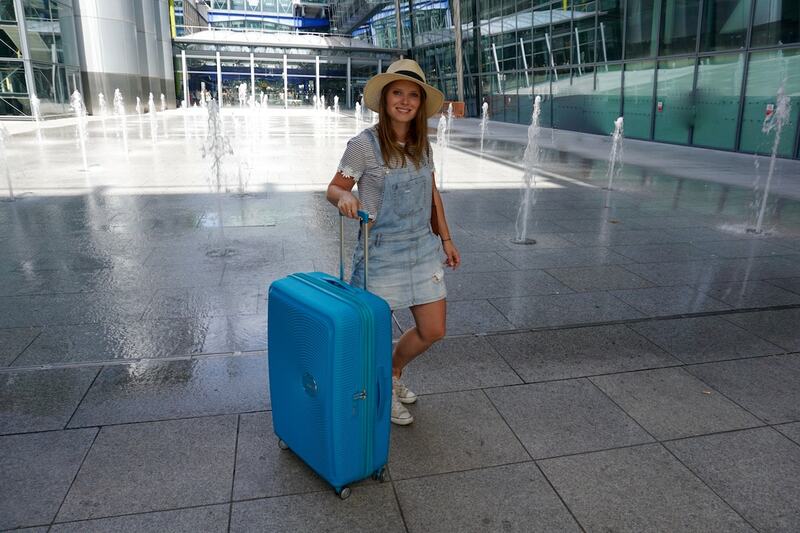 My old case has sentimental value – it’s travelled far and seen some incredible sights, but finally, it’s time for us to part ways and see other people. 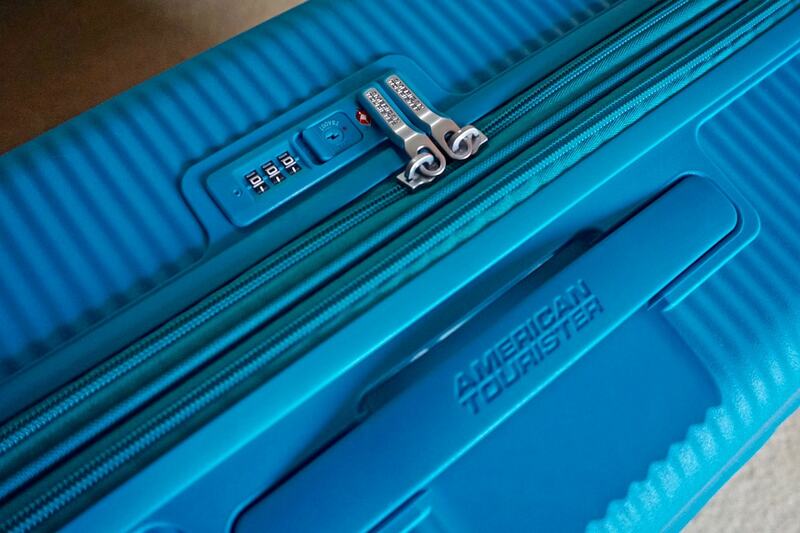 So, when I had a chance to take some brand-new American Tourister luggage for a spin, I couldn’t wait to travel in style again! 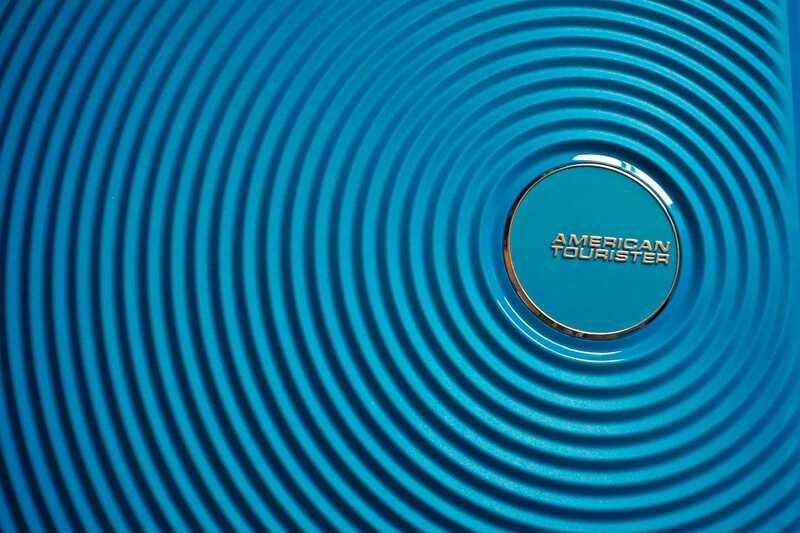 American Tourister Soundbox Suitcase: What’s It All About? First things first, the Soundbox range is seriously fun! Coming in two bright shades tropical lime and summer blue, and two more sensible colours midnight navy and bass black, the cases have a circle motif that reminds me of a boombox speaker – no doubt where the name Soundox comes from. Obviously, being a turquoise lover I had to go for the ‘summer blue’ which is a bright shade of teal. It’s really fun, and so bright you’ll spot it from miles away as it makes its way around the luggage belt. The Soundbox range comes in three sizes – a cabin size case, a medium and a large. I opted for a large, knowing it would come in when travelling with my partner. 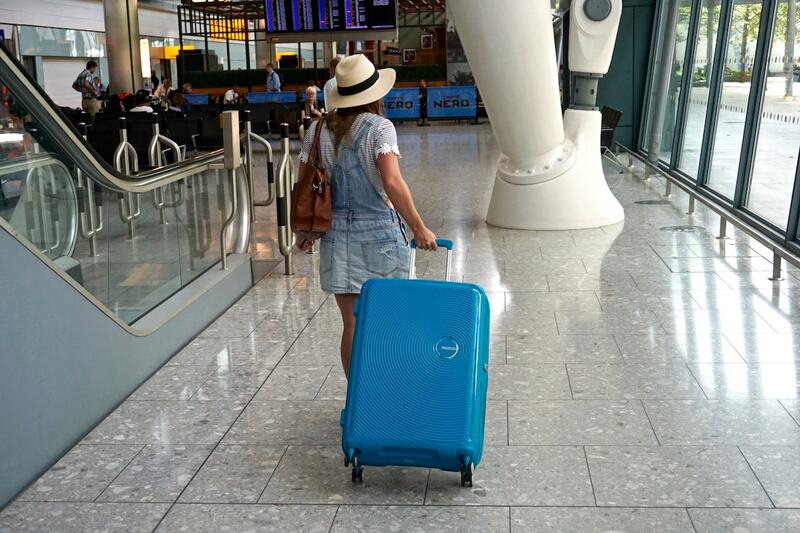 The 77cm large case has 4 wheels, weighs just 4.2 kg and has a capacity of a whopping 97 litres. It’s big, without being hefty. 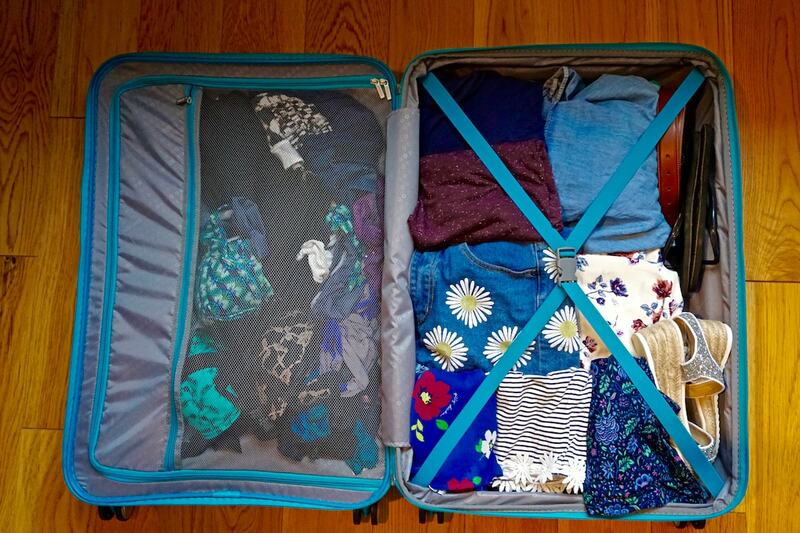 Well, before filling it with all my holiday clothes and accessories anyway! There is one main compartment in the top and one in the bottom. The top compartment is held in place by a full zip around pocket, which also has space in it – perfect for underwear. There’s also a skinny zip pocket on the inside of the lower section. I liked that it had a few elasticated ribbons to hold down what I’d packed. I’ve not had a 4-wheel case before and it really is a game changer! It’s SO easy to wheel around, spins on the spot, and being so mobile, it made me want to dance around the airport quite a few times! With its hard plastic exterior, it feels very durable, although time will tell on that one. 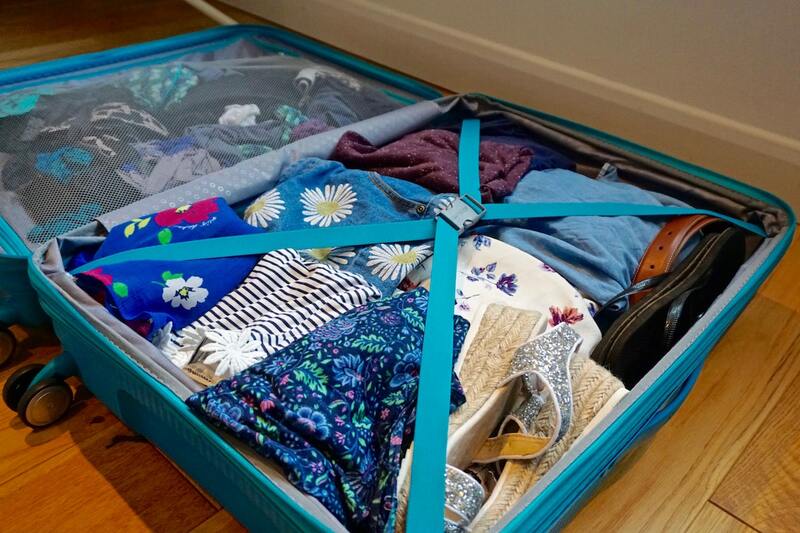 American Tourister Soundbox Suitcase: Who Is This Product For? This is a fun range, and could work for young and old alike, but no doubt the bright shades will be more appealing to a younger crowd. One thing I would say is that the large case is seriously large! It’s pretty supersize, so I would only recommend it if you’re going away for a long time, or are packing for more than one person. Packing as a couple for a week’s holiday, it was a great size, and meant we only needed one case between us. My sisters all use similar size cases when they go away with their kids. I can see this would be a perfect family case. 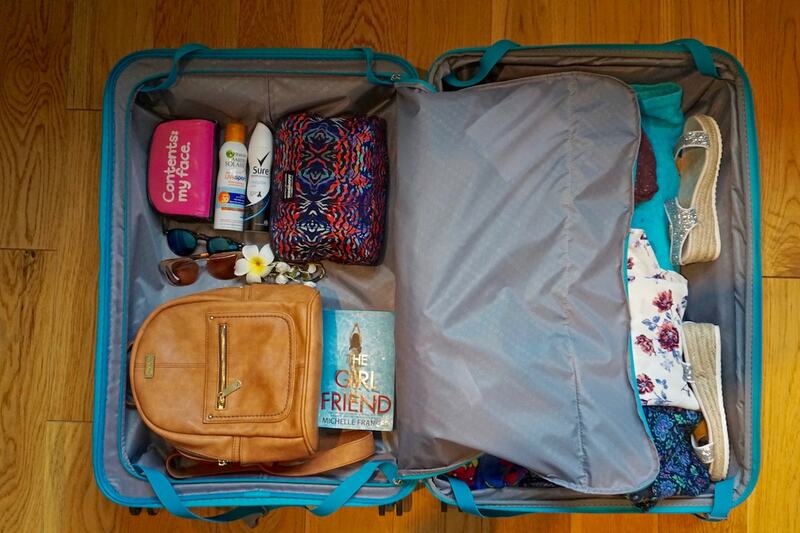 American Tourister Soundbox Suitcase: How Much Can You Pack In It? You’ve guessed it… a lot! 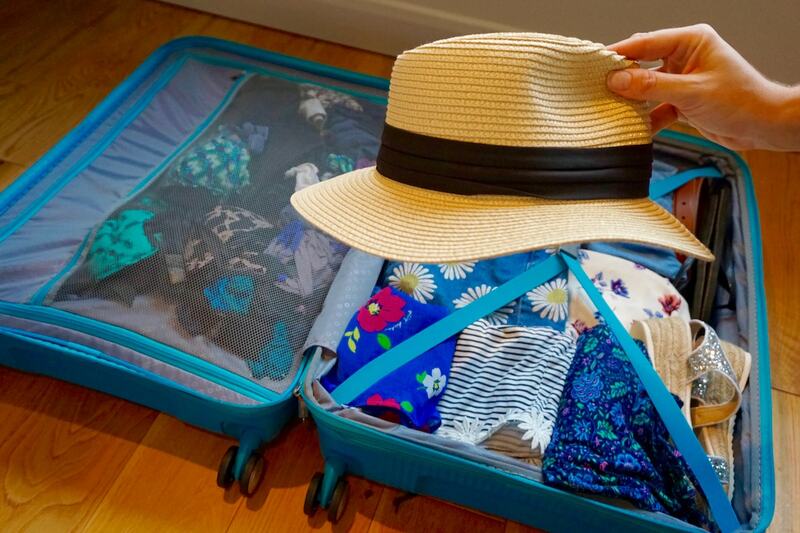 We packed enough for a whole week away including large beach towels, shoes, sandals, beach clothes, evening wear, toiletries, make up, accessories and more! I even managed to fit my fave rucksack. It actually still wasn’t completely full with everything in there. That gives you a good idea of just how enormous it is! The case has a 3-digit combination lock that holds the two zippers in place. It’s a TSA approved lock, so is safe for any US adventures too. All of the Soundbox suitcases come with a limited 3-year global warranty. 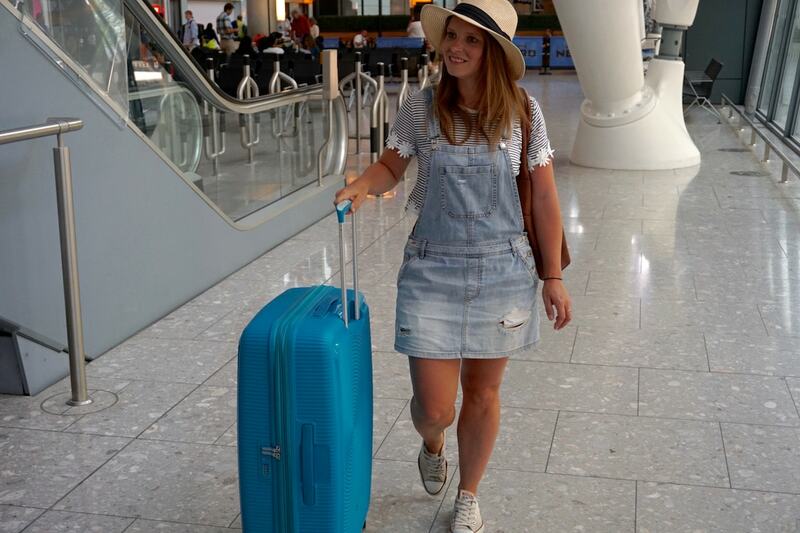 I always recommend taking out travel insurance with comprehensive baggage cover before you go away too. Not all sizes come in all the colours I’ve mentioned. Also I’ve seen a few photos of pink options but can’t see them on the online store currently. I’d recommend the medium case if you’re a frequent solo traveller. 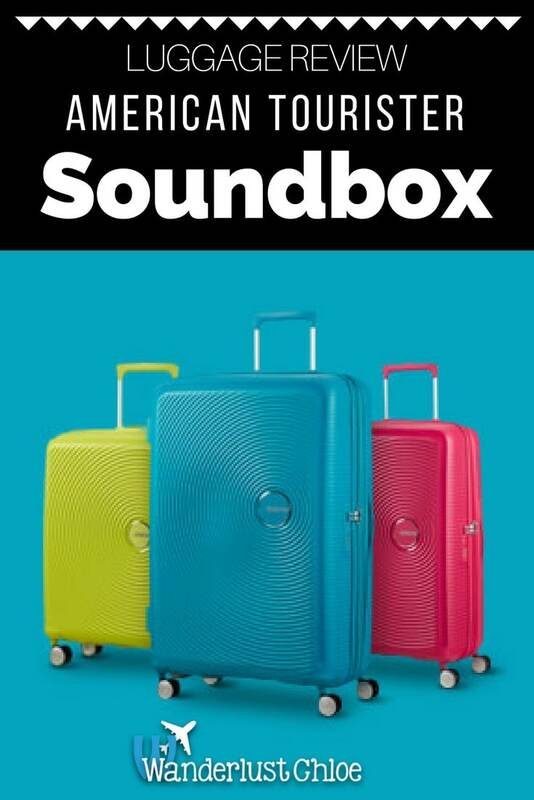 American Tourister Soundbox Suitcase: How Much Does It Cost And How Do I Buy One? You can view all the different options available below or pick up one just like mine here . Want to try something different? Find out how to choose a travel backpack then search for the most stylish backpacks around right now! 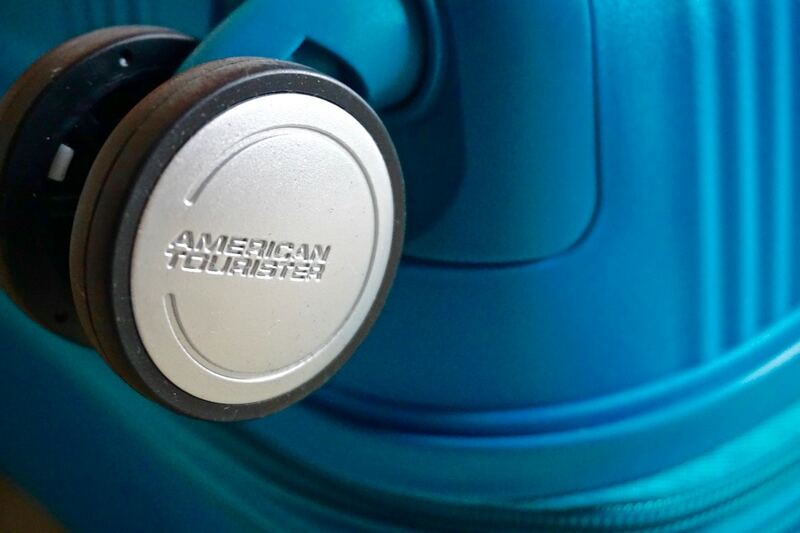 Thanks to American Tourister for sending me a case to review. This review is completely impartial and all opinions are my own.